We have marked a distinct and dynamic position in the market by providing a high-quality array of Two Wheeler Wiring Harness. We offer a precision engineered range of Wiring Harness and Electric Wiring Harness, which is widely used in automobiles for auto electrical, ignition system, battery cables, washing machines, refrigerator, air conditioners, television, microwaves etc. 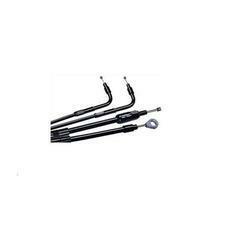 We are engaged in offering wide assortment range of Two Wheeler Wiring Harness. Widely used to connect various automotive parts to the battery, these harnesses are designed for working under adverse conditions and can sustain heavy loads. Moreover, this range of wiring harness is famous for durable construction and is fabricated in compliance with international standards. We are manufacturing Automotive Wiring Harness using high-grade brass and aluminum. Electrical Wiring Harness are best known for robust design and durability. Electrical Wiring Harness perfectly tested for ensuring that no defect occurs. They are highly efficient with a long service life. 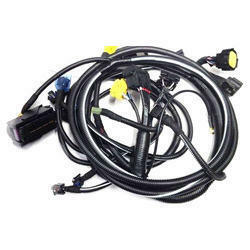 We manufacture all types and standards of Automotive Wiring Harness as per customer requirements and specification. Our products are end used by esteemed automobile manufacturers like TATA, M&M, TAFE, TVS, BAJAJ, JOHN DEERE, etc.